I have a dynamic form where the user should be able to add or remove data while updating. I am able to update the exact number fields that are in the database table. But what I want is if a user clicked a 'Delete Subject' and 'Update' buttons, I want that entire row deleted from the database. 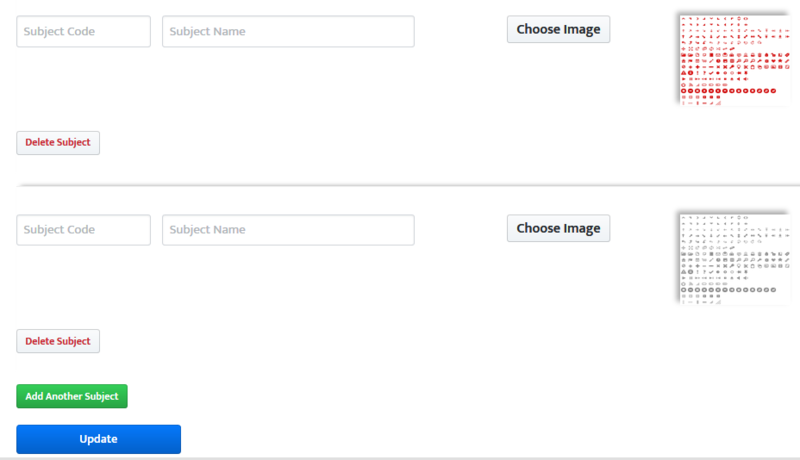 And, if he added a subject by clicking 'Add another Subject' the form and clicked 'Update' I want those subjects added. What am I missing here? What am I missing? Should I use other method for UpSert?